The annual Ringling Brothers Circus is heading into town. It's a fun show with animals, acrobatics, clowns and more. We've had both nosebleed seats and 10th row seats - they're all fine (plus you can move down when you see some better seats, if you can sneak past the usher - shhhh!). If you go, make sure to arrive an hour before the show. You can see the animals outside, plus there's a show inside and you can get up-close to the performers - on the actual stage. Whenever I mention the Ringling Brothers Circus, I state this. There is controversy over whether the circus treats its animals well. Certain organiations that are well-known for their activism on this cause will most likely email me (yet again) in a threatening tone, urging me to post links to vidoes of the alleged animal abuse. I will not post these links. I will also not make a decision for you whether you want to go to the circus or not - but will provide the details so you can make your own decision. If you would like more information on the alleged abuses, just Google "circus animal abuse" and you'll get enough links to keep you busy for awhile. If you want Ringling's take on their care of animals, you can go to their website, and they talk about care of their animals. If you go to the circus, you will likely see protesters outside, so you can prepare for that when your kids start asking questions. The third annual Tricycle Music Fest is coming to San Francisco, sponsored by the public library. All concerts are free and open to the public. The kickoff is Sunday, August 5, in partnership with Sunday Streets. Your kids may not be able to run 26+ miles (hey, maybe you can't either), but you can all do the Munchkin Run. All kids entered get a t-shirt, dog tag medal, bib and food from Safeway at the finish line. Proceeds go to the San Francisco Child Abuse Prevention Center. When: Sunday, July 29 at 9 a.m.
From pictures, it looks like they run alone, so you don't need to register too. Frequent traveler? Read how the Silicon Valley types travel with ease. Awesome! Frank Gehry and Brad Pitt team up to build homes in New Orleans. Check out the results. 10 ways to repurpose an old toy - from Apartment Therapy. Some great ideas for things your kids might have outgrown. Ski tips in summer? Yeah, I thought it was weird that my ski tips for families ran online this week, however it's on an Australian website. So now it makes more sense. Get a start on thinking about winter skiing with these tips! Jaw-dropping playgrounds - this round-up of totally awesome international playgrounds includes three Bay Area playgrounds, including Magic Mountain Playground at Coyote Point (San Mateo), the Helen Diller Playground at Dolores Park (SF) and Adventure Playground in Berkeley. They're in good company. Check them out! Craft project (from Creme de la Craft). Make a mini notebook from an old cereal box. I know you have those lying around! Touring the Green Toys Factory in San Leandro, by Sprout. Planning your kids' next birthday party? Here are some make-it-yourself goodie bag ideas from Red Tricycle. A bit of self promotion. My latest on bankrate.com, on when to save or splurge on appliances. The end to adult education in SF? Why adult ed matters to you and what you can do about it. Awesome foodie photos from San Francisco. If you're heading to Tahoe this summer and your kid is a LEGO fan (and really, what kid isn't? ), you need to check out the LEGO Summer Brickation in South Lake Tahoe. Play and build with LEGOs for free, in a beautiful location. Need I say more? Okay, I will. You can help create a LEGO Lake Tahoe mosaic, get photos with life-size LEGO models, and have races on the LEGO ramp. 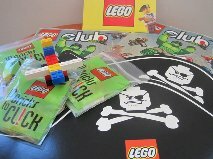 Whether or not you go, you can win a LEGO prize pack, which contains 10 Bricks to Click and LEGO Club Jr. Magazine (sample prize packs pictured below). I wasn't familiar with 10 Bricks to Click, but it's a little bag with 10 bricks (duh! ), however there are many things you can actually make with 10 bricks - and the instructions give you some ideas. And here's a secret - even if you don't win, you can get a 2 year subscription to the Lego Club Magazine for free. To win the LEGO prize package, leave a comment below, sharing something about your LEGO history. Did you play with LEGOs as a child? Is your child a fanatic? Did you end up in the hospital when stepping on LEGOs left on the floor in the middle of the night? I'll choose a winner at random (using random.org) on July 30 at 6 p.m. PST. Make sure to leave your email address so I can get in touch with you if you win (if you don't want to leave your email address on the comment, you can send it to me at contest (at) friscokids.net and tell me which comment is yours). You'll need to respond back within 24 hours or I'll go on to the next winner. If you're going to Lake Tahoe in winter, especially with toddlers, here is a post to check out. Read the top 11 things I learned at Legoland here. Disclosure: I was compensated for this post. My son is such a huge LEGO fan that the compensation will almost certainly be used to buy him more LEGOs. If my son has his way. I realize most of you could care less that I'm going to BlogHer in early August. I post this in the event that you are also attending (I'd love to meet you!) or you've attended before and want to send me some helpful hints. For those who don't know about BlogHer, it's a cult-like conference attracting 3,000 bloggers and a ton of sponsors. I'm not sure what to expect other than chaos and being overwhelmed. I'm starting my research now. But hopefully I'll take home some ideas to make Frisco Kids even better! Origami paper and book - this will provide the kids something to do when it's raining or rest time in the cabin. Disposable camera - don't want to send the digital camera or rely on camp photos for the memories? Send an inexpensive disposable camera. Fun postage stamps - get them to write you back, by giving them colorful stamps from the post office. Letters from Camp - you might give them some ideas, but the Letters from Camp book series is hilarious. Picture frame to autograph - this one is for the memories! Bunco dice game - just because you drink when you play it doesn't mean your kids have to. Misting fan - stay cool! What do your kids like getting at camp? Please post your suggestions and experiences below! If your kid plays football, sign up for a session at the Protection Tour, which focuses on player safety (equipment fitting, tackling fundamentals and concussion education). It's to increase awareness of the possibility of head injuries and to stress overall safety in youth sports. Register: you need to register for a session at 10:00, 1:00 or 4:00. 150 players maximum. Parents and coaches should not register, but they can still come. Head to Santa Cruz this weekend for a tour of the Long Marine Lab. You'll learn about what the scientists do there, including their research on dolphins, sea lions, whales and seals. You'll go behind the scenes! Where: Long Marine Lab - Santa Cruz. Directions here. Reservations: required - call (831) 459-3800. This Saturday, July 21, the Monterey Bay Aquarium Research Institute hosts an open house to celebrate its 25th anniversary. It includes children's activities, ocean career info, technology demonstrations, science exhibits, deep sea videos, presentations about their research, and robotic submarines. The Research Institute was founded in 1987 by David Packard for advanced research and education in ocean science and technology. Parking: limited free parking is available on the streets, and the Moss Landing Harbor District will have a few spots too. Note: there will not be food/drinks available, but there are restaurants in walking distance. The 2nd annual LGBTQ Family Day is coming up at the Contemporary Jewish Museum. Included are special performances, art activities and more! Families can play I Spy Museum Bingo, check out an iPad to play California Dreaming: The Game, pick up a Family ARTpack, and grab a special museum giveaway! Be there for the art-making activity from 12-3, where you'll create painted trees using all the colors of the rainbow, or join a museum educator at 12:30 for a family gallery tour of the exhibition "Do Not Destroy: Trees, Art and Jewish Thought." Schmooze and nosh in Jessie Square at noon and lunch from event co-sponsors (Congregation Sha’ar Zahav, Family Builders, Keshet, Our Family Coalition, and the SF LGBT Center). Bring your own, or pick something tasty up from American Box, the museum's recently opened eatery. Plus, build participatory, outdoor nature sculptures with Bay Area environmental artist Zach Pine. And finally, there will be great from 1-3 featuring Bay Area musical groups: Critical Bliss, the Lesbian/Gay Chorus of San Francisco, and the SF Lesbian/Gay Freedom Band. On Wednesday, the Lawrence Hall of Science is hosting "What Wonderful Worlds: Exploring our Solar System with Imke de Pater" who is professor and chair of UC Berkeley's Dept of Astronomy. There's a discussion from 11 to noon, followed by space activities from noon to 2 p.m. It's part of the summer fun days program. The kids having nothing going on tomorrow? Hurry and sign them up for a free class at the Intel Museum in Santa Clara. They'll learn to make a musical greeting card, using computer chip science. The class is about 45 minutes. 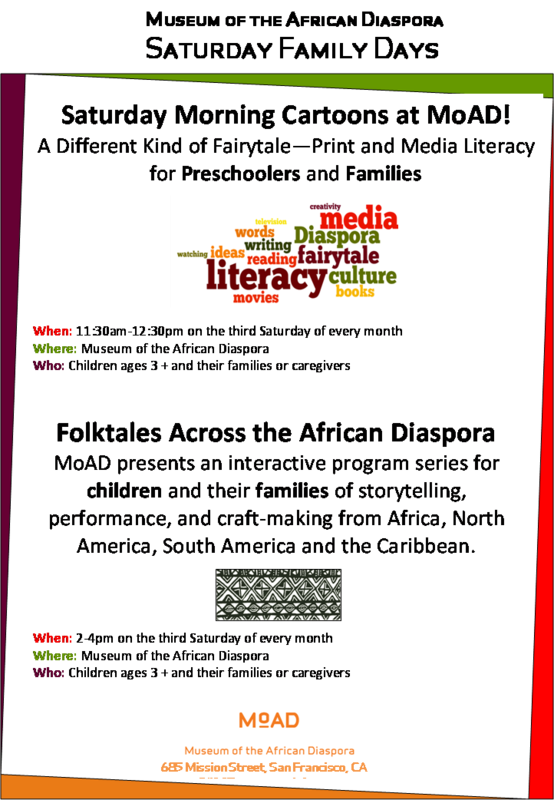 Register: email museum@intel.com or call (408) 765-0503. Space is limited and you must RSVP 48 hours in advance (which means do it now!). Email with your child's name, your name, class time, your child's age, and your telephone number). You must remain in the museum during class. There's another class on Thursday, July 19 (and July 28) at the same time. It's a binary beading class. They'll learn how computers use the digital language of the binary code to send, process and receive information. They'll use beads representing the on and off of a switch, and then make their initial pattern in a beaded to make a key chain. Use the RSVP information above. 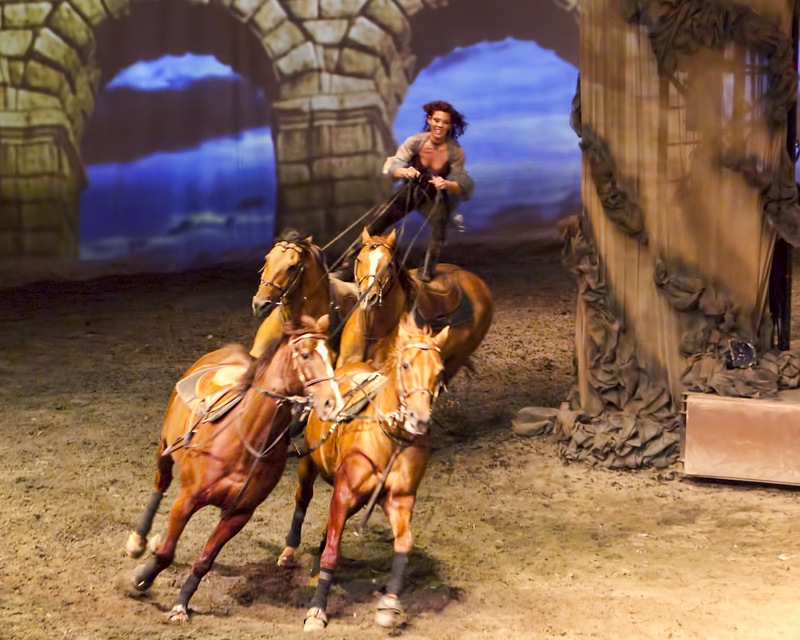 With 49 horses, 37 riders and aerialists, acrobats, dancers and musicians, this should be a fun show. It's performed under a 110' tall tent. They describe it as a mix between equestrian and performing arts, with multimedia and special effects. SCRAP is a facility in San Francisco that recycles all kinds of things and gives them to teachers. They also sell them and do classes. It's a great place. They're hosting SCRAP camp, where your kids will learn about creative reuse, art and the environment. This particular camp is Mosaic Mash-Up. Arts classes that explore mixed media and drawing. the elementary school group will focus on mixed media art, creating works exploring their surroundings, neighborhoods and life influences. For middle schoolers, they'll grid and draw from photographs they bring themselves. When: July 23-27 from 2-5:30. Play Cafe is running Robot camp, which uses robot building and computer programming to teach science, technology, engineering and math in a fun way. They'll use LEGO Mindstorms kits, software and laptop computers. Though my 9 year old son hasn't done this particular camp, he just completed two sessions like it at another facility, and had a BLAST. I listed a few others here, which have upcoming dates. Save this for when you take your next trip. It's a compilation of fabulous tips from family travel bloggers (myself included) on how best to travel with kids. Thanks to the editors from Wandering Educators for putting this great and comprehensive list together. Chocolate and Europe - does that pique your interest? Loved this article by fellow travel writer Gillian Kendall about taking tea with the master chocolate chef (who wouldn't love that title?) at Hotel Chocolat in London. Where to swim in San Francisco? 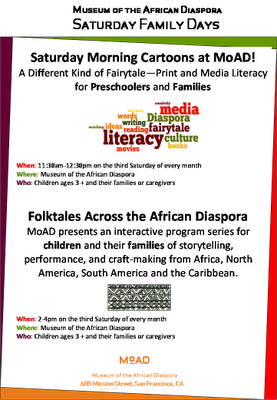 Check this list at KidfriendlySF. If you're a fan of Gretchen Rubin (does the Happiness Project ring a bell? ), she has a new book coming out in September. It's called Happier at Home and talks about prioritizing your . Read an excerpt here. You can preorder it here.You can get a surprise mailed to you if you preorder - enter your info here. You've already missed some of California's county fairs, but there are more. Here's a list of county fairs from SFKids.org. Still to come, Sonoma, Santa Clara and Solano. Not to mention the California State Fair in Sacramento. SFKids.org also has a list of outdoor movies and special deals. Check out the Pied Piper Players' Summer Conservatory show, Charlotte's Web. The kids designed their own props and costumes, and there will be songs and dance too. Cheap entertainment that's fun for the kids! 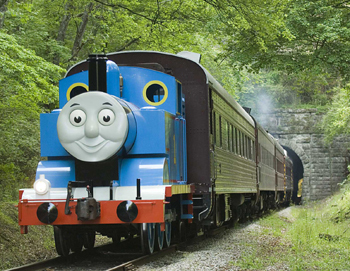 When: Friday, July 13 at 7 p.m., Saturday July 14 at 1 p.m.
Thomas the Train is making a Bay Area appearance. Welcome him at Felton's Roaring Camp. Lots of great photo opporunties. The day includes storytelling, visits with Sir Topham Hatt, music, building with blocks, crafts and more. Warning - when we went the line was so long to get a photo with Sir Topham Hatt the kids got really bored waiting. We did this years ago, when Zachary was younger and very into Thomas. We had a great time there. We didn't know at the time, but you can go to the event for free (you pay $8 for parking), and skip the expensive train ride if you want. We did the 25 minute train ride, which was uneventful - especially since you can't actually see Thomas while you're on the train. You can take pictures with your own camera at no cost. The kids didn't seem all that interested in the train ride. My favorite part of Roaring Camp is Henry Cowell State Park, which you can walk to from Roaring Camp (even a short stroll through the redwoods is worth it). Bring a picnic or buy food there - they have BBQ. Cost: $14-19 to ride the train - get tickets in advance. Parking is $8. 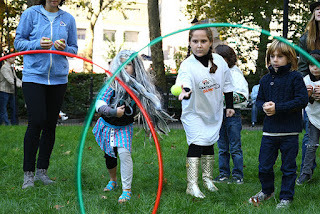 This event posting is sponsored by Spotivate, a website that's creating an activity discovering experience for parents by providing a feed of hyper-local, highly curated, and highly personalized activity suggestions. This Saturday, head to San Francisco for the ClifKid Backyard Game of the Year event. It's on July 14, 2012 from 11-1 at Marina Green in SF (get there early - parking can be tricky). The first 200 kids get a free Backyard Games Playoff t-shirt, but even if you miss out on that, the event is free for all, plus they'll have free organic Clif Kid snacks. Look for judges, U.S. Olympian Jonny Moseley (freestyle skier) and author Richard Louv. What will you do there? You'll check play the games made up by kids ages 6-12 (see the games here) who are competing to win the grand prize ($10,000 - don't be jealous). Plus there will be other entertainment. Sound like fun? Look for other great events on the weekly Spotivate newsletter featuring hand-picked events for the San Francisco or San Jose area. You can sign up for the San Jose newsletter here, and the San Francisco one here. Focus Pointe Global is looking for parents, ages 22-44, for a paid focus group on technology. It's in San Francisco this weekend, and they really need participants. Pay is $100 for 2 hours. Get prescreened here: http://bit.ly/47318CS (you have to register first).